This week, the drywall is being prepped for paint. 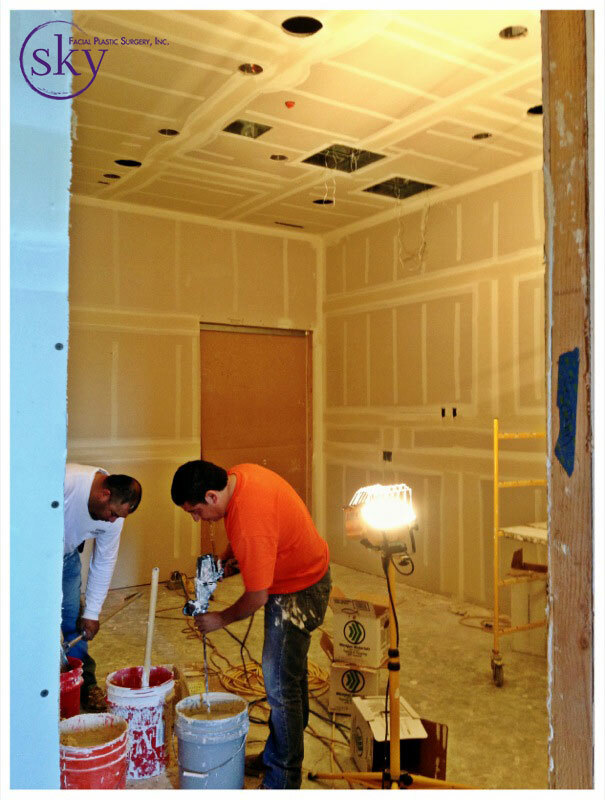 All of the seams where the drywall panels join together are covered with plaster in order to create a smooth, seamless wall to paint. Day 0 was the line snaps, Day 1 was the framing and Day 45 is the plastered drywall! Read the next post in this series - "Day 54 - Let there be light!" Day 54 - Let there be light!